Ahhhhh … remember when? When, you ask? 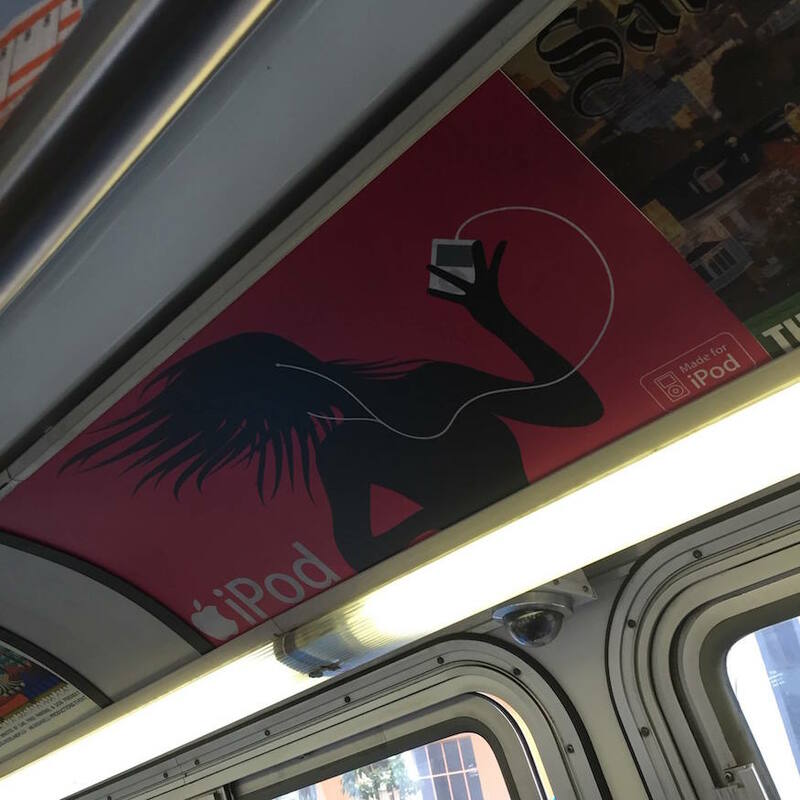 Back when we eagerly upgraded from clunky (but oh-so-awesome) Walkmans and Discmans to Apple’s shiny, sleek, magical “iPod”? Back when, well, first of all, back when we read books. And there were these dinosaurs roaming our cityscape called “bookstores.” And we could morph into Scully or Mulder with a freakin’ flappin’ flip-phone. Those were the days, indeed. 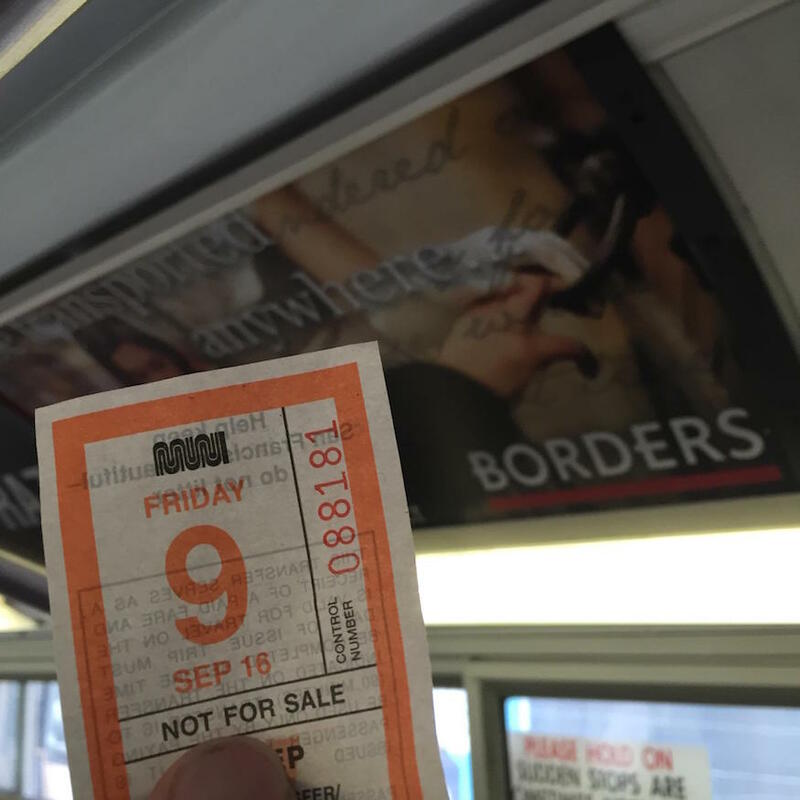 Muni rider Jack rode a 6-Parnassus last week and his bus had ads for ALL. OF. THE. ABOVE. A true mobile museum, that. If you had to peg a date for these ads, what would your guess be? Mine is late-2004. Like, maybe right after Bush the Younger was re-(but really for the first time)-elected*. 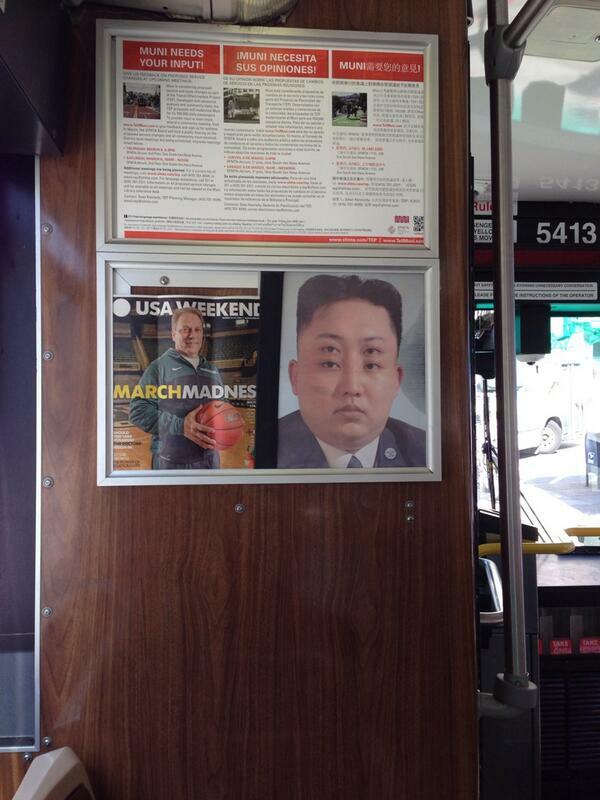 I saw these ads on a 6-Parnassus yesterday. Yep, in 2016. It hit me right in the feels. If you’ll excuse me, I’ll be listening to From Under The Cork Tree. 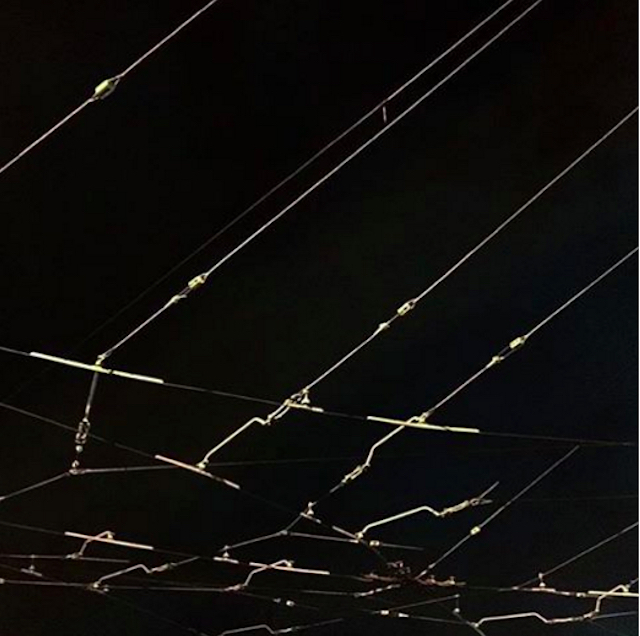 The Super Bowl 50 Committee plans to ask SFMTA to take down the overhead wires on Market Street during the sportsball fiesta, but honestly, we think the overhead wires are kind of nice in a photo op. Next year’s Super Bowl will be held in Santa Clara, but the eight-day fan village will be in Justin Herman Plaza, where the mayor told KCBS that there won’t be room for the homeless or anyone. 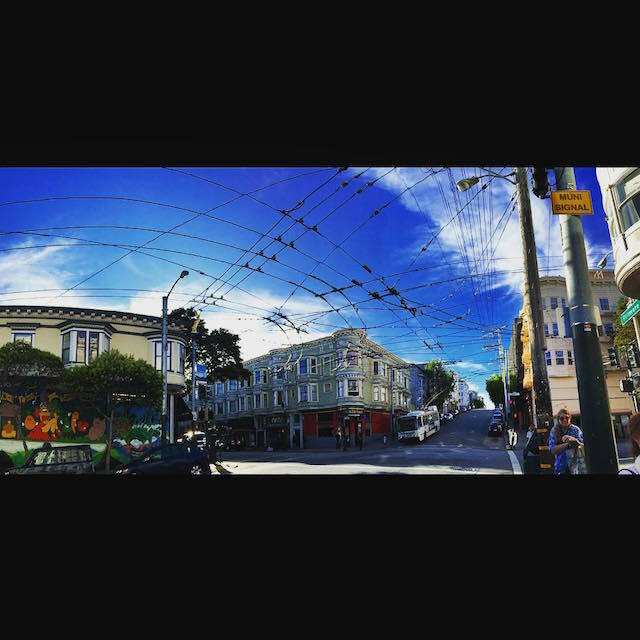 The Examiner reports that Supervisor Jane Kim confirmed the Super Bowl 50 Committee‘s desire to pull down Muni wires. No decisions have been made about the potential request, but the Examiner says that pulling down the overhead wires could cost a “seven-figure number” requiring “lots of overtime” to remove correctly. The F, 6, 21, and 31 lines run on overhead wires in the area. 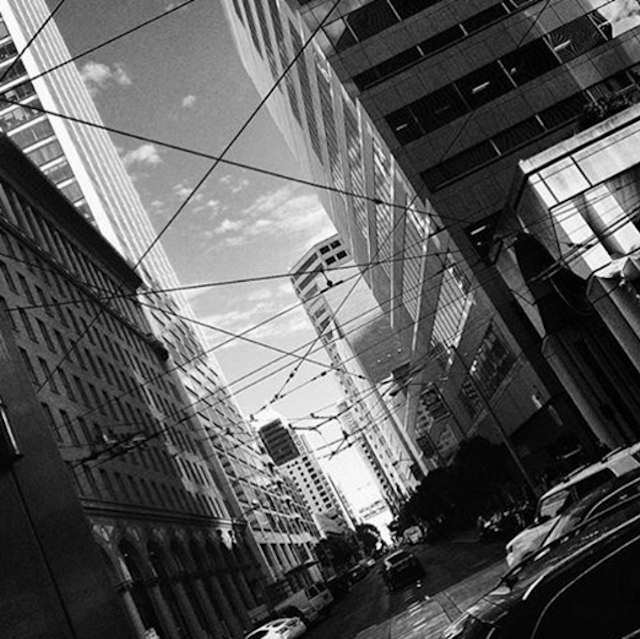 I actually think Muni overhead wires make for really beautiful photos, as evidenced by several of the photographers we’ve featured on Instagram. Maybe the Super Bowl 50 Committee can take a look at a few of these beauties? 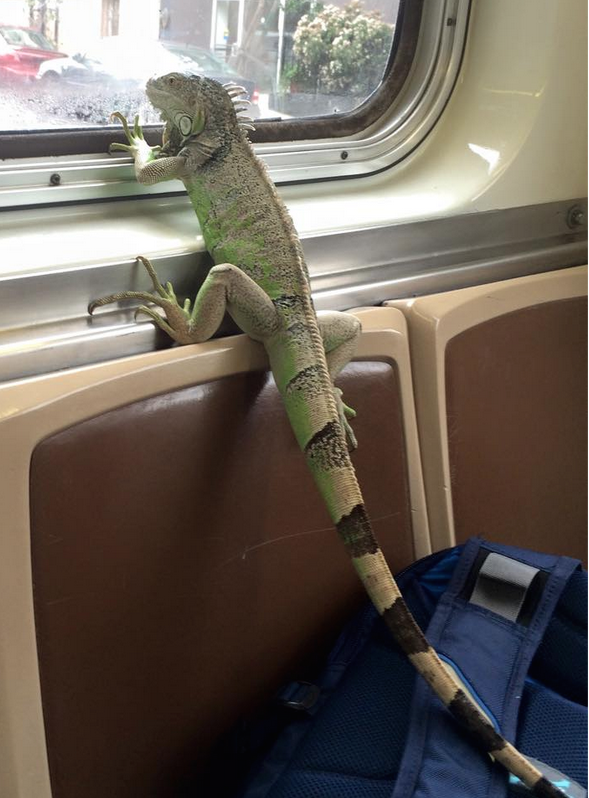 This Muni passenger is named Charlie, not to be confused with Skippy the Iguana, who was previously profiled alongside the fancy people in The Wall Street Journal. Charlie is also not to be confused with that slimy “Could switching to GEICO really save you 15% or more on car insurance?” gecko. 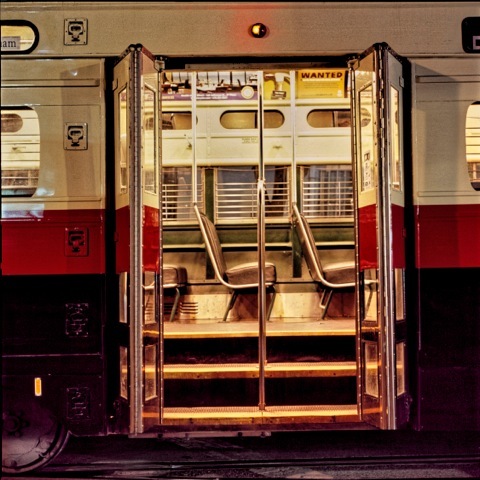 Muni rider Ramona snapped this photo of Charlie chillin’ in the back of the 6-Parnassus. I dig his icy glaze and no-fucks-given attitude. I only hope he will forgive the number of terrible puns I couldn’t resist making at his expense. Want more Muni portraits of the non-humanoid variety? We’ve got more cuties on Muni this way. 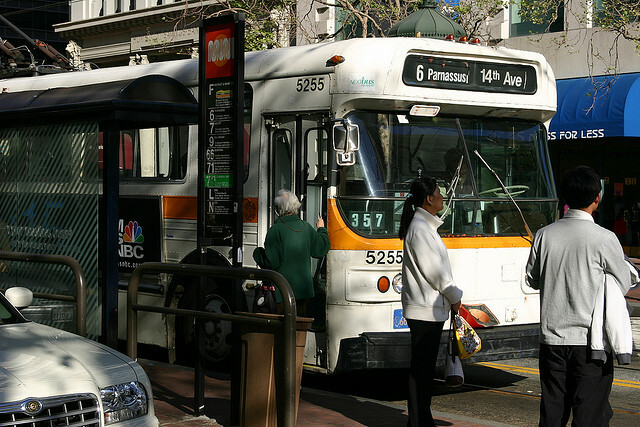 Psst, don’t keep your witty transit-inspired updates to just you and your Facebook friends. 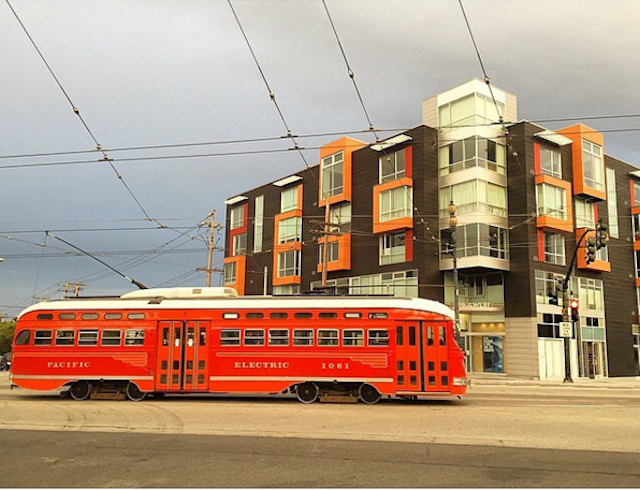 Tag us @munidiaries! And how. Is Kim Jong-un looking for his long-lost buddy Dennis Rodman? First of all, so rarely does “fondling,” “tool,” and “caressing” show up in the same submission without it meaning the other thing. 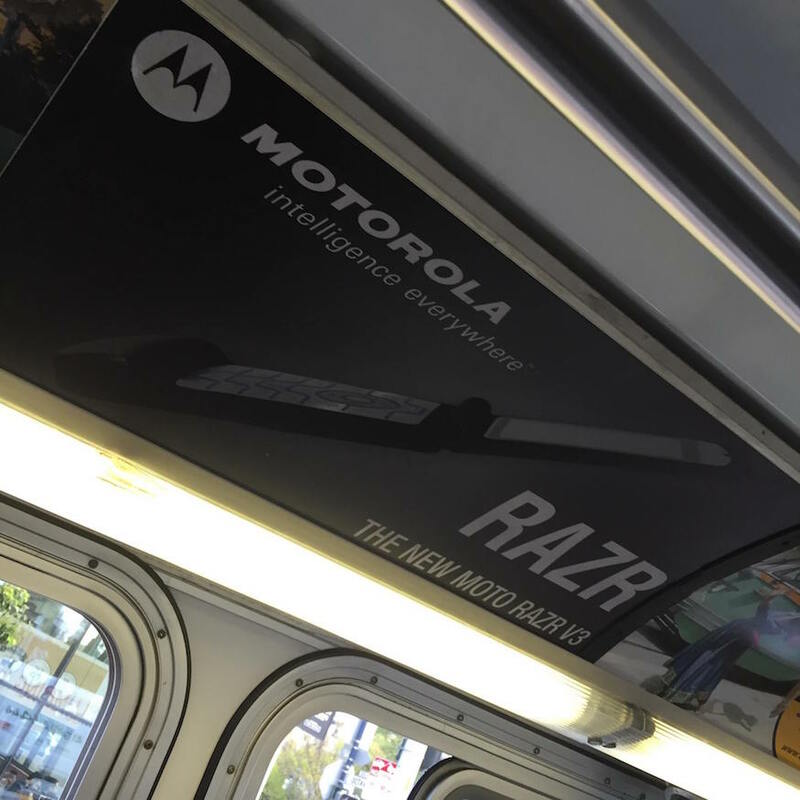 And so rarely does anything with a 12-inch blade go well for anyone on a Muni bus. Well done, driver and trainer for spotting a potential problem before it became a real problem. 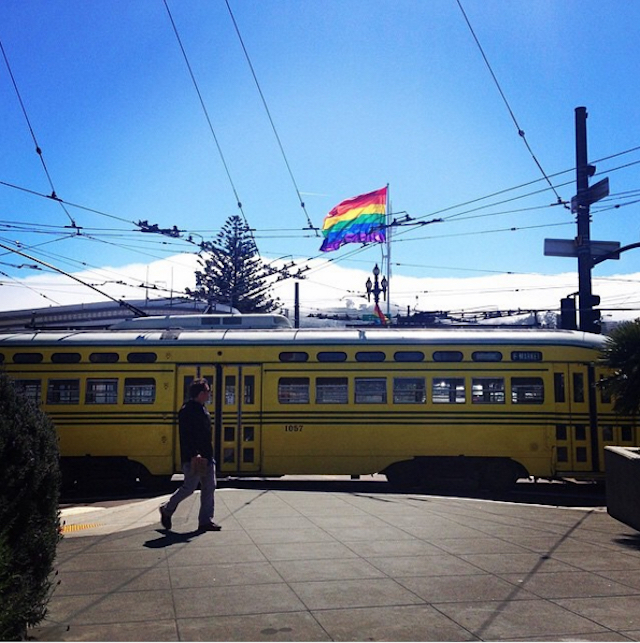 Hey, guess what, Vicki posted this on the Muni Diaries Facebook page. Aren’t you totally inspired to post your own story, whether it involves tool fondling or some other eyebrow-raising activity? Yeah, I am basically trying to get “tool fondling” into this post as much as possible because I’m 12 years old. It’s nice when people yell backdoor for you or give you their seat on the bus. But the following is a top-level good deed on Muni that I personally wouldn’t be able to do without. @LaMelSauceda: Shout out to the man who prevented me from stepping in poop on the 6 today. Good lookin’ out, bro. With that, we’ll leave you with the festive photo from reader Larry G. above. Enjoy your weekend!